AWWWWW YEAHHHH. 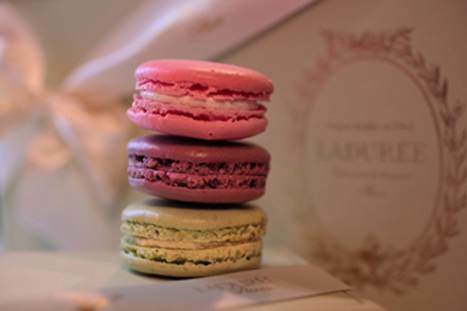 Laduree to open in Harbour City this November. Can you wait? And, because we are so good, Santa says Pierre Herme will also be opening this year (date and location TBC, but it's confirmed because they are sending out PR emails). Which means in probably six months time, we will have at least two pedigreed macaroon brands and 30 other cute copycats in town. Question is, will Laduree and Pierre Herme be baking their goods on premises or, like Jean Paul Hevin, simply shipping them in from Paris? Can you even bake good macaroons in Hong Kong in this humidity? So many questions, so few macaroons in my mouth right now. On a side note, has anyone tried the animal macaroons from Rolls on Stanley Street? They look so cute and retarded I feel like they must be horrible... but the boxes of Palmiers they sell are also the best thing ever.